The popularity of Aurora HDR software has been on the rise in the past few years. 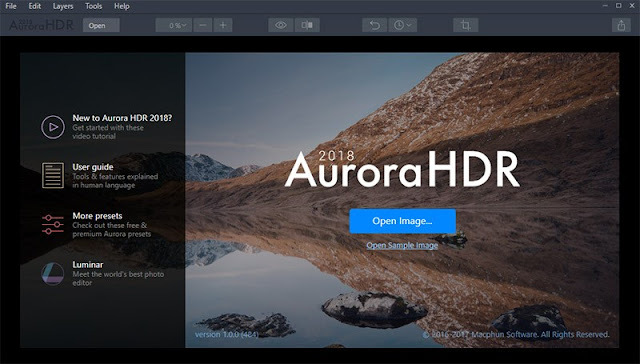 There are more exciting additions that have come with the introduction of Aurora HDR 2018. Aurora is a product of Macphun and the company has been trying to enhance several aspects of the program and add new features to enhance the user experience. The application was officially released on September 28th, 2017. Aurora HDR was only available for Mac users. The application has been rated as the best HDR software and most PC users have not been happy with the fact that they were unable to use this application. The good news about the 2018 version is that it will be available for both PC and Mac applications. In fact, you can download the two versions using the same license if you are the kind of person who uses both PC and Mac. Therefore, the user can switch from PC to Mac and vice versa without buying a new license. One of the biggest improvements on the 2018 version is its performance and speed. The major disadvantages of the 2017 HDR is the amount of time you will have to use when trying to merge photos. However, Aurora has tried to find a solution by increasing the speed of this application. The speed has significantly increased on the Mac version even though there was no PC version for doing the comparison. You will be able to save a lot of time while processing hundreds of photos. You can now use Aurora HDR as a standalone software. Some people like to use the application for Photoshop or Lightroom. The Lightroom has an inbuilt HDR merge and you can use it in processing photos that are not HDR merges. The Lightroom HDR can be helpful but the images may look quite bland and flat. You may be forced to use several sliders to give your images the desired look. The good thing about the 2017 and 2018 versions of HDR is that the photos will have a better look on the basis of the initial HRD merge. You won’t find them looking flat and in most cases, you will slightly adjust the sliders and get your desired look. You will be able to save a lot of time while processing your posts. The HDR enhance slider is a new addition to this 2018 version. This is a smart slider that affects a few elements including clarity. You will get a more intense look by pushing the slider further. You will just move the slider by a small amount and still keep a natural look of your results. This slider is ideal for beginners who want to push the images further. Indeed, the 2018 version of Aurora HDR is bringing a lot of revolution to the industry.